I spent the last four days in Hong Kong attending a Services Trade Conference, a forum that was built around the impressive reality that the services sector is the engine of the global economy. Not only is it creating economic growth and opportunities the world over, but the quality of life for so many people is being transformed for the better because of it. 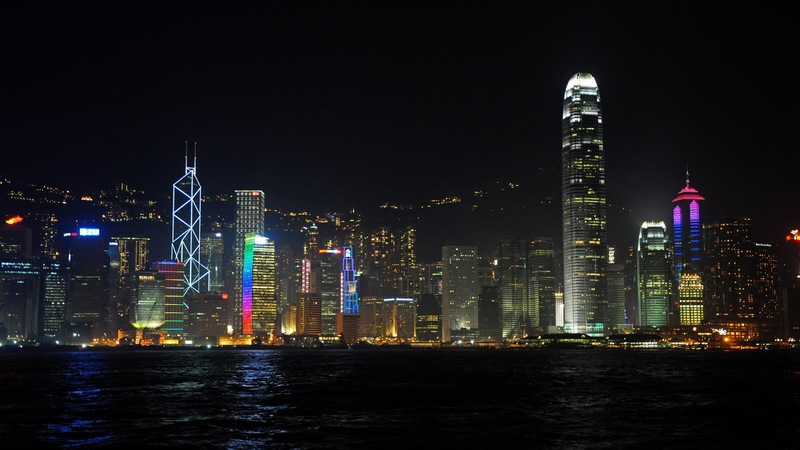 Hong Kong has come to epitomize this global trend. It is a free trade zone where barriers to the movement of goods and services are kept to an absolute minimum. Anyone visiting is struck by the incredible commercial energy and dynamism that oozes from its business pores. There is a real bounce to the place. It is an entrepreneurial laboratory. Any fears about what would happen after the transfer of Hong Kong from the UK have been long forgotten. Citizens here are interested in the future. But when I talk about services, Hong Kong also embraces a service excellence. Everywhere one goes, they are met by quick, efficient, and friendly service. There are legions of waiters, tellers, taxis, and receptionists, and they all greet you with friendly smiles and incredible courtesy. No waiting lines here. It is also service with flexibility: There’s only a large portion of noodles on the menu? Not to worry, they’ll bring you a small side order if that’s what you want. Try that in Geneva! To make the point, an Australian lawyer was telling me that he never goes to the dry cleaners. All his clothes are picked up and dropped off at home. When his car needs servicing, his mechanic comes to pick up the car, wherever it is, and then delivers it where he wants it. Believe it or not, these are not special services and they do not come at extra cost. They merely represents the standard service. A gold standard, that is. It’s the hustle and bustle of life made a little easier. That’s Hong Kong, and that’s in part why people are attracted to this tiny piece of urban real estate. Expats usually stay for much longer periods than they originally planned. Many Hong Kongers with Canadian passports are still here. Yet Hong Kong also reminds me of the advantages and values that underwrite Canada and Switzerland, where I currently live and work. We have a dramatically different and fortunate concept of space, for example, compared to the 7 million people crammed into the small metropolis of Hong Kong. We have blue skies and clean air for the most part. In Hong Kong, I only saw the sun on the last day; prior to this, smog was the order of the day. We also enjoy, of course, a robust democracy and a freedom of speech that we sometimes take for granted. Hong Kong is still developing this, under the watchful eye of Beijing. There is no doubt that service excellence can go a long way in building the DNA for a prosperous society. So can a first class work ethic. Hong Kong has both of these genes in spades. But behind the smiles, I also sense there is a yearning for something more; something that speaks to the soul of a national community. Something that we in Canada and Switzerland already have. I suppose no one has it all.